More Haitians returning from Chile in "Humanitarian Flights"
A second planeload of Haitian immigrants is has returned from Chile back to Haiti in a Chilean Air Force plane on Monday. A total of 181 Haitians were on that flight according to news report. These flights are labeled "Humanitarian flights" returning Haitians home from Chile free of charge on one condition: These Haitians have signed a declaration saying they will not return to Chile for nine years. 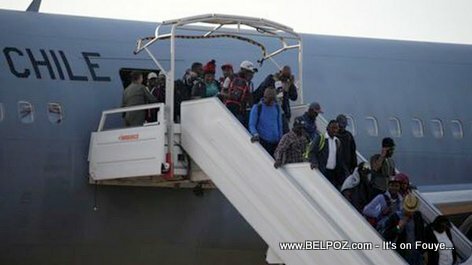 Surprisingly, 1600 Haitians in Chile have singed up for this free flight back home. Many of them are living in terrible conditions in Chile and cannot find a job. They prefer to start over in their home country. « Affaire PetroCaribe: Have the petrochallengers lost control of the movement?